Cryptocurrencies are fast becoming one important facet of transactions globally. Amassing quite a significant number of supporters despite its ecosystem still being in a developmental stage shows that they have a good chance of cementing their position in the global economy. As shown in the infographic below, cryptocurrencies are decentralized and digitally represented. As such, you don’t get to see a physical print anywhere, if we were to believe people from Bitcoinfy.net. Cryptos are generated by a blockchain network through a complex process known as mining. The process is put in place to verify and record all transactions on a network, thus preventing frauds and offering full transparency to the users. In this article, we will introduce some of the concepts that we think you should know about crypto transactions and mining. Decentralization means two things here — transactions are not carried out through a central authority such as banks, which gives users the ability to control their transactions and accounts by themselves. As a consequence, transactions are much faster when compared with traditional banking services, fees are significantly reduced, and accounts cannot be frozen. Furthermore, because data is spread across the network of users instead of a central hub, hacking into individual accounts or the network itself is extremely hard and, in many cases, not profitable for the attackers. With cryptocurrencies, users do not get to doubt the integrity of the transactions. Blockchain technology is developed in such a way that transactions cannot be reversed, altered, or stopped once initiated. This is hugely beneficial to online merchants, as cryptocurrencies basically erode frauds associated with online payments, such as chargebacks or altered invoices. There is one particularly appealing thing about mining crypto coins — anyone could jump in and start mining. If they’re successful enough, they could earn some nice profits. Of course, this is easier said than done because most of the mineable cryptocurrencies require expensive mining equipment, sometimes being as expensive as $1,000 per machine. This is why you need to be careful and do a throughout research before starting the mining business. 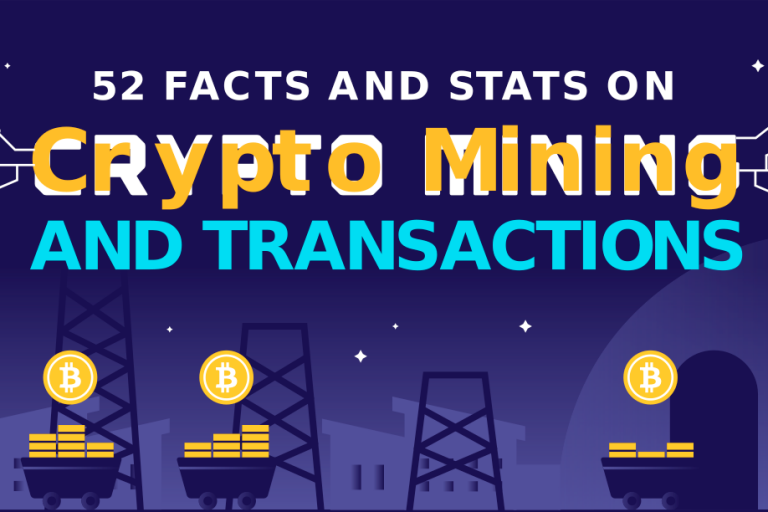 To learn more about cryptocurrencies, crypto transactions, and crypto mining, check out the infographic that follows.